• Continuously improve and enhance upon excellence and professionalism. It not only helps in keeping order but ensures that a company runs smoothly by avoiding ethical risk, prevents the escalation of disrespectful and unproductive behaviour and ultimately remains profitable and successful. Each individual company should make its values and ethics known almost immediately, during the interview process and, after hiring an employee, continuously sustain it in all human resources and management practices. And in many businesses, no matter how well an employee performs, the “how” is equally if not more important. 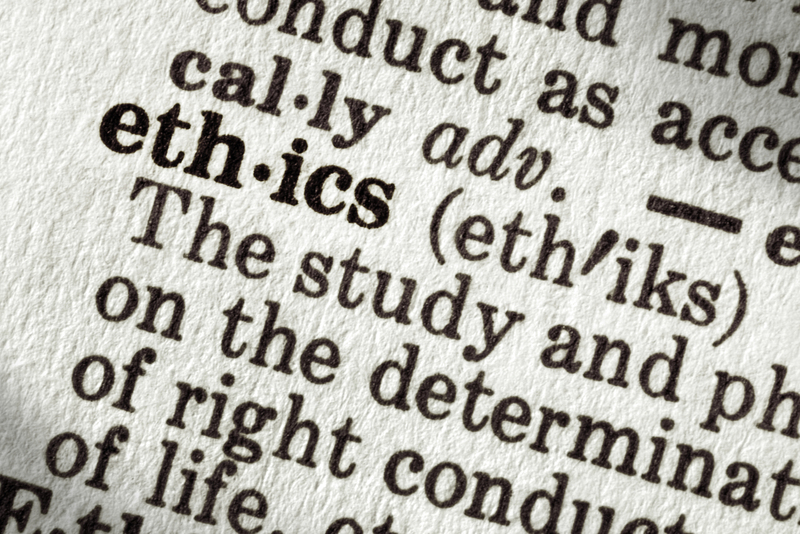 If workplace values and ethics, are not followed, it can result in termination. How hard an employee works, or how much effort she puts forth, can go a long way. Obviously, companies want results, but most employers prefer a worker who gives an honest effort to one who might be considered a “natural” at the job, but is otherwise disruptive. Either way, when an employee signs on with a business, they must be in agreement to perform to the best of their ability and their behaviour must be in alignment with the companies core values and expected ethical conduct. An important aspect of workplace values and ethics is integrity, or displaying honest behavior at all times. For instance, an employee who works at a cash register is expected to balance the drawer and deposit the correct amount of money at the end of the night. Integrity in the business world also might mean being honest when turning in an expense report or not attempting to steal a sales account from a co-worker. Employees in all companies are expected to be accountable for their actions and their assigned responsibilities. At a basic level, that means showing up when they are scheduled and on time, and not taking advantage of time allotted for breaks. It also means carrying out assigned responsibilities, meeting deadlines, accepting responsibility when things go wrong and willingly working toward a resolution of problems or issues. And sometimes it might mean working longer than planned to see a project or task through to completion. In almost every business, workplace values and ethics consist of teamwork. That’s because most companies believe that when morale is high and everyone is working together, success will follow. So it is important for employees to be team players–whether assisting co-workers on a project, teaching new hires new tasks, or following the instructions of a supervisor. Employee conduct is an integral aspect of workplace values and ethics. Respectful behaviour honours the dignity and contribution of each employee. It promotes positive behaviours in communication and interpersonal relations, as well as with external partners, clients and stakeholders, Respect earns trust. Employees must not only treat others with respect, but exhibit appropriate behavior in all facets of the job. That includes wearing proper attire, using language that is considered suitable around the office and conducting themselves with professionalism. Every company should articulate its core values, define expected behaviours that are both aspirational and positive and also have its own specific rules on certain types of conduct. These should be made extremely clear in an Employee Code of Conduct document. This document sets out both the overarching principles or core values of the organization and the behaviours and conduct expected of employees. Leadership means “walking the talk” and the sustained use of an Employee Code of Conduct requires embedding it in all management practices. The Employee Code of Conduct should form the foundational elements for recruitment criteria, both during the interview process and also in orientation sessions. All new employees should be required to read the Employee Code of Conduct and acknowledge and sign their understanding in a Declaration Form both upon recruitment and then annually, as part of their performance review. The Employee Code of Conduct has been further reinforced as the key element of performance assessment for both management and staff. It has also been reinforced through continuous training on ethical issues or as a standing item in employee dialogue sessions such as all-staff meetings or town halls. Values and ethics should always be a standing item in management meetings to both identify and mitigate areas of ethical risk or unproductive behaviour or actions. Company Board of Directors must also have there own separate Codes to avoid ethical risks such as conflict of interest and ensure duty of loyalty. A Code of Conduct is an integral tool in ensuring good operations, harmonious relations and ultimately, accomplish high levels of productivity and profit to achieve a company’s success. This is done by recognizing the importance of embodying core values and behaviours around Respect, Integrity, Accountability, Professionalism and Excellence and sustained management practices that reinforce ethical conduct. Marilyn Domagalski, is a management consultant with over 25 years of experience. She has advised and written both Employee and Board of Director Codes of Conduct and developed values and ethics programs for all types of organizations in both the public and private sector.